One of the greatest gifts helping professionals can share with others is a sense of their own peace. However, retaining and renewing a sense of a healthy perspective requires not only self-care strategies, but also an awareness of basic profound, yet simple, wisdom themes. 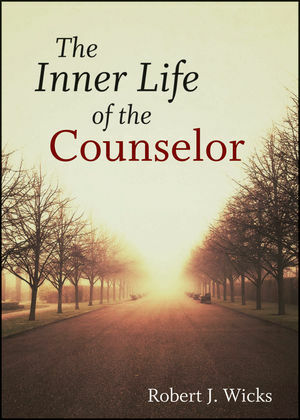 The Inner Life of the Counselor presents classic and contemporary wisdom that examines and explores each of these themes in a way that both professional and non-professional helpers will find revealing and meaningful in understanding their own journey. Informed by the author's over thirty years of experience as a therapist, mentor, and clinical supervisor of professional helpers?as well as by his expertise in resiliency and prevention of secondary stress?The Inner Life of the Counselor thoughtfully looks at those elements that encourage sustained personal growth and professional development, such as self-care, stress management, and mindfulness. Lively, practical, and marked by an elegant sense of simplicity, this nurturing book demonstrates how exploring the inner life can lead counselors to new wisdom and inner peace?not only for themselves but also for those who come to them for relief and insight. It is an invitation to pause, reflect, renew, and navigate one of contemporary society's most challenging yet rewarding professions. Dr. ROBERT J. WICKS received his doctorate in psychology from Hahnemann Medical College in Philadelphia. Presently, he is a professor at Loyola University Maryland. He has spoken on Capitol Hill to members of Congress and their Chiefs of Staff, and at Johns Hopkins School of Medicine, the Mayo Clinic, and Harvard's Children's Hospital on his major area of expertise: the prevention of secondary stress. He has also addressed thousands of educators and professionals, spoken at the FBI Academy, and addressed caregivers in China, Vietnam, Northern Ireland, Scotland, and South Africa. In his practice, Dr. Wicks focuses on working with psychotherapists, physicians, nurses, educators, relief workers, lawyers, corporate executives, persons in full-time ministry, and members of the military. He has published over forty-five books for both professionals and the general public, and is the coauthor, with Mary Beth Werdel, of Primer on Posttraumatic Growth: An Introduction and Guide (Wiley). Visit his website at robertjwicks.com.